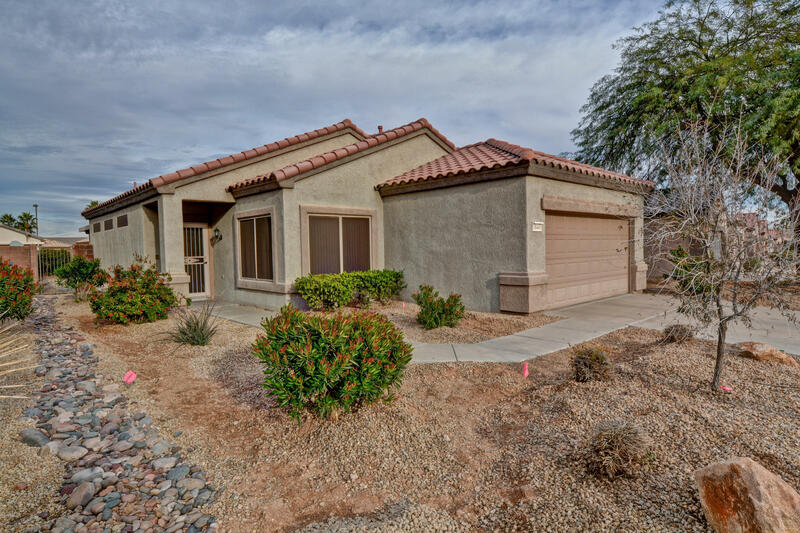 This home is in Pristine Condition!Open Light Bright Super Spacious Floor Plan.Extra Lrg. Master Suite, Second Bedroom is very spacious. Bonus Room can be used for an office, hobby room or even 3rd bedroom.All Appliances are included and nearly new right down to the garbage disposal!Covered Patio with gas line in for your BBQ! Private low maintenance back yard features landscape lighting. The irrigation system is new in both the front and back yard. Front yard landscape is maintained by HOA. New Garage Door opener & storage in garage!This home has been Meticulously maintained and is move in ready!All furniture can be purchased outside of escrow on a separate bill of sale, all you need to bring is your toothbrush!